Breast Cancer is the leading cause of cancer deaths in women today. 1 in 17 women develop some form of breast abnormality in their lifetime. Early detection is key to survival. 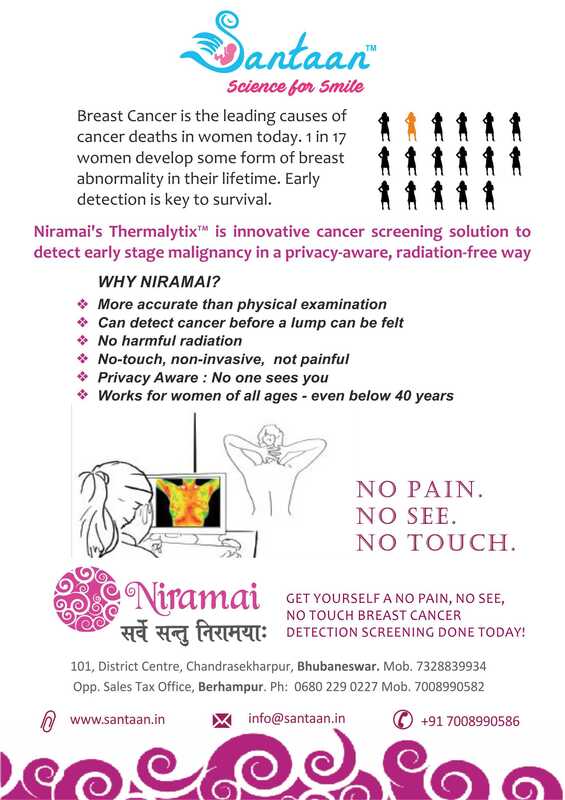 To address this, Santaan has launched an innovative cancer screening solution offered in partnership with Niramai’s Thermalytic. This is a “No Pain, No See No Touch” screening. Check out more details in the announcement media below. Here is another one.